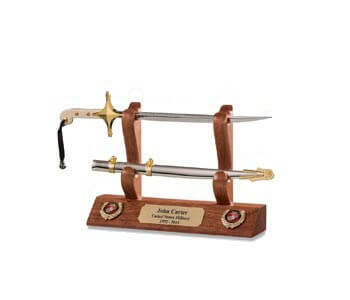 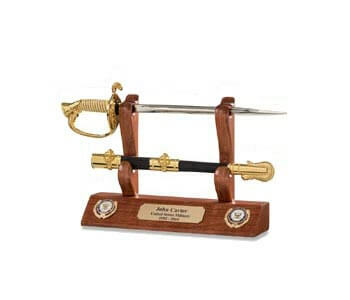 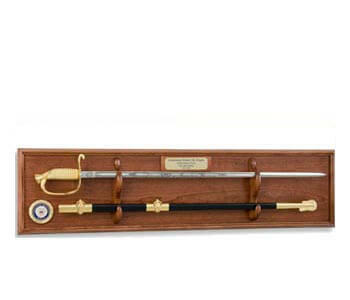 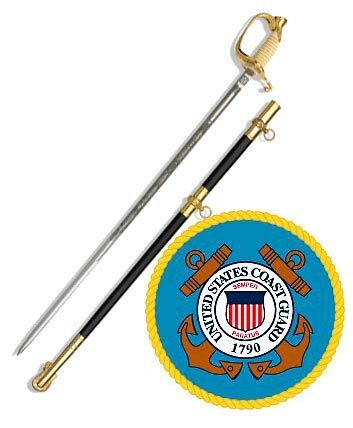 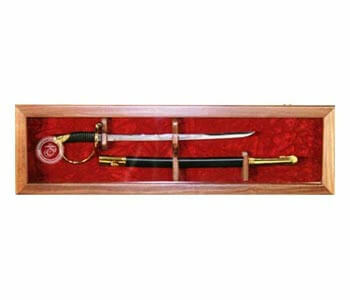 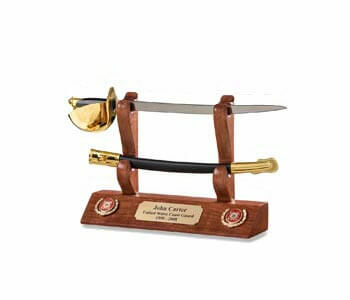 When you need to find a unique, thoughtful and highly personable gift for a member of the United States Air Force, either active or retired, then Military Sword Displays offers the perfect answer. 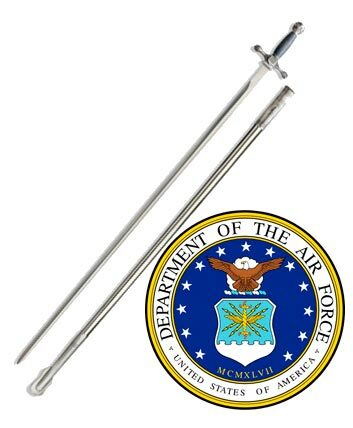 We hand craft the highest quality authentic Air Force letter openers, perfect for a commemorative display or as a highly functional office tool. 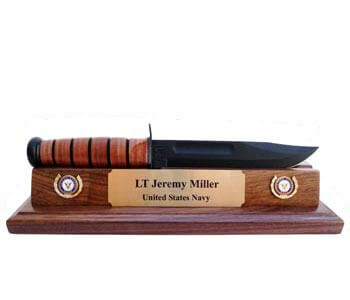 Each realistic military letter opener is made by a former service member right here in the USA, and comes with a stunningly beautiful wooden display. 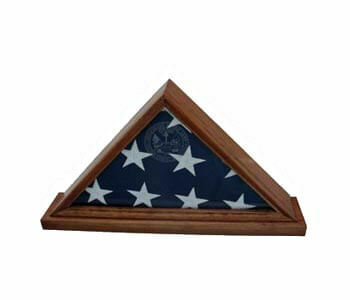 Choose from three different wood types, Walnut, Beech or Cherry wood, to match any home or office decor. 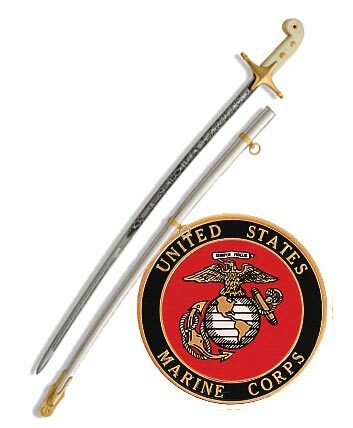 Our Air Force letter opener collection comes in four different styles, ranging from elaborate dress swords to the M7 bayonet and KaBar knife issued to our military men and women. 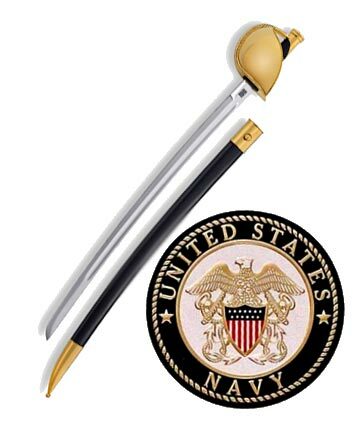 Each one of these amazing and functional military letter openers is manufactured from high grade stainless steel and other superior materials in reflective silver or flat black finish. 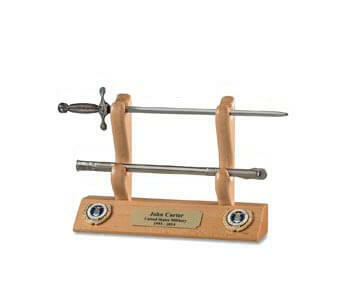 Where the gift becomes something extra special is in the personalization process. 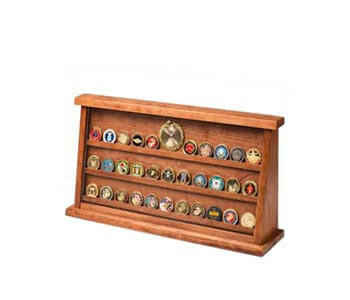 Each comes with at least one traditional Air Force emblem, and you have the option to include other specific unit insignia and other meaningful military imagery. 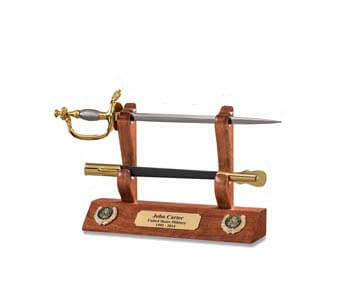 We offer a gorgeous brass plate that can be engraved with a personal message or service details that will turn the letter opener and display from a tasteful gift into a full-fledged family heirloom. 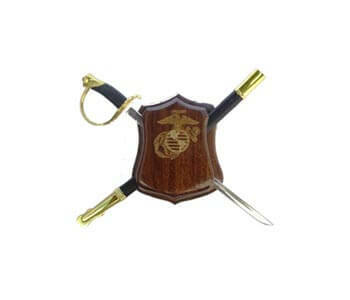 Choose the perfect style below, and customize it using our easy ordering system. 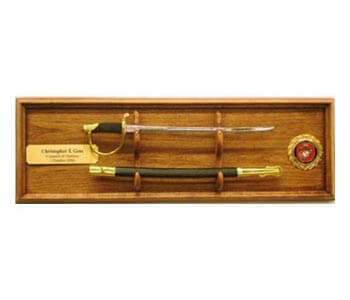 You'll find the prices to be extremely affordable for the handcrafted quality delivered, and we offer expedited shipping to ensure your gift arrives as quickly as possible. 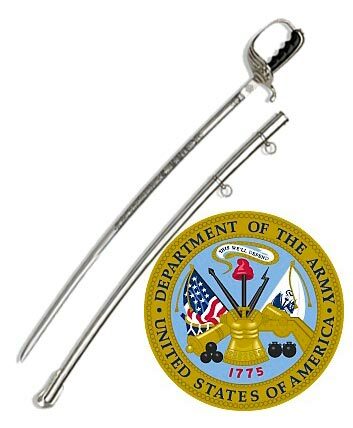 If you have any questions on any of our Air Force letter openers or other military sword displays, please call us at 509-921-8090 to speak with a customer care professional for immediate assistance.